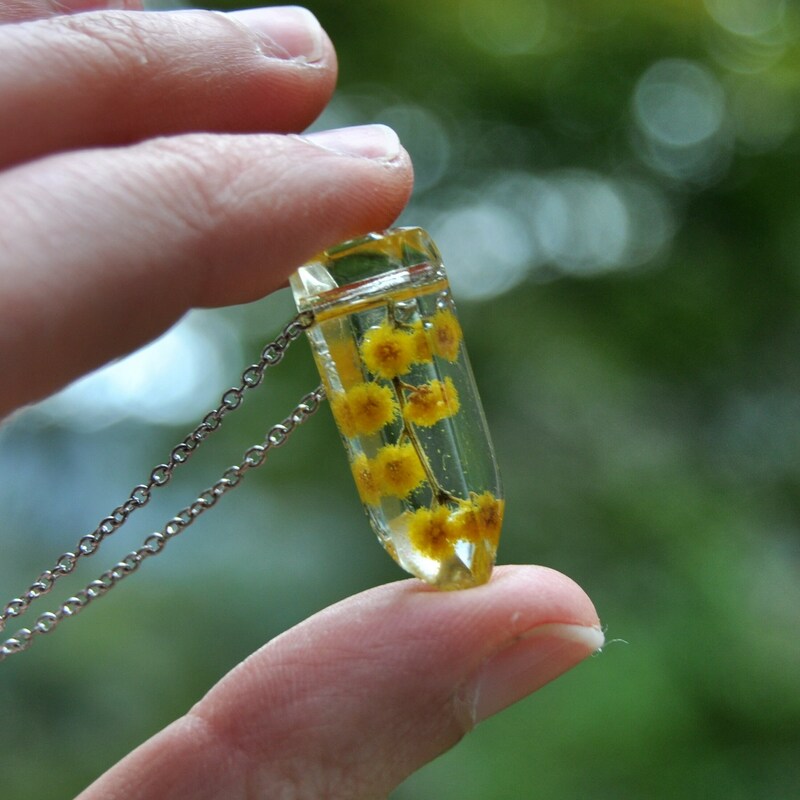 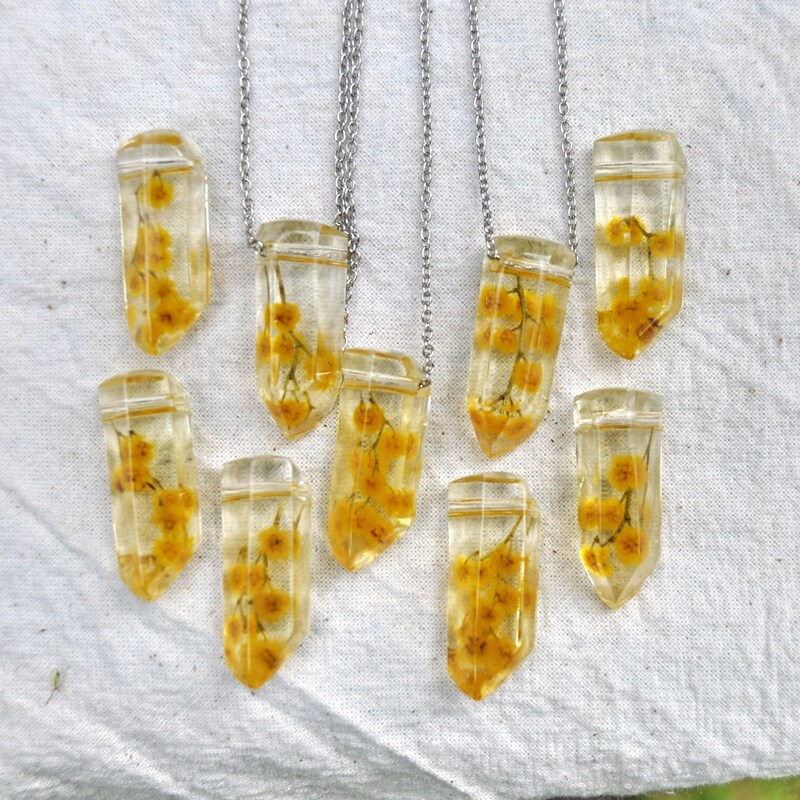 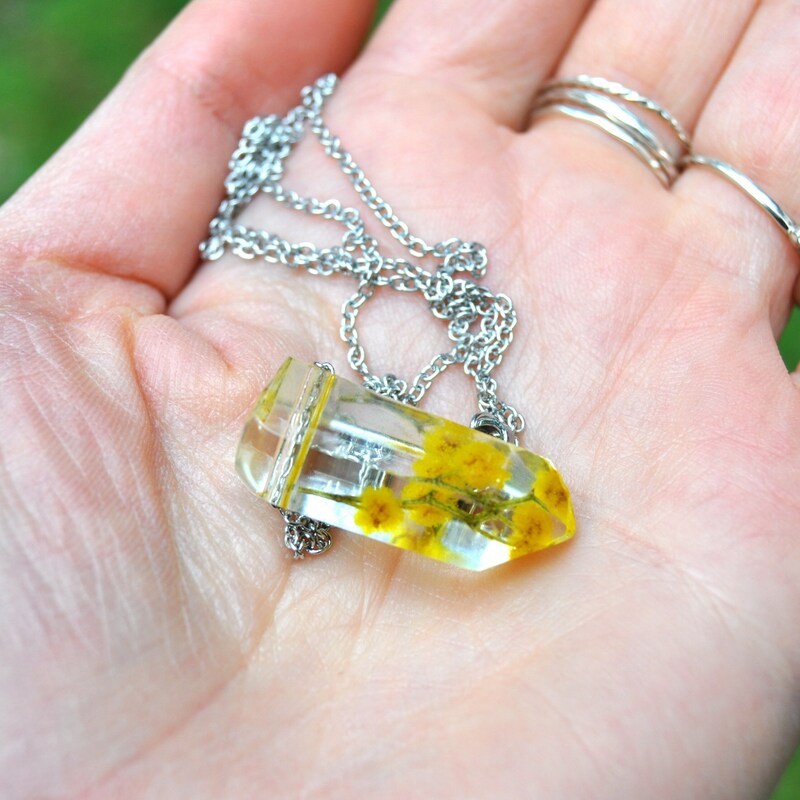 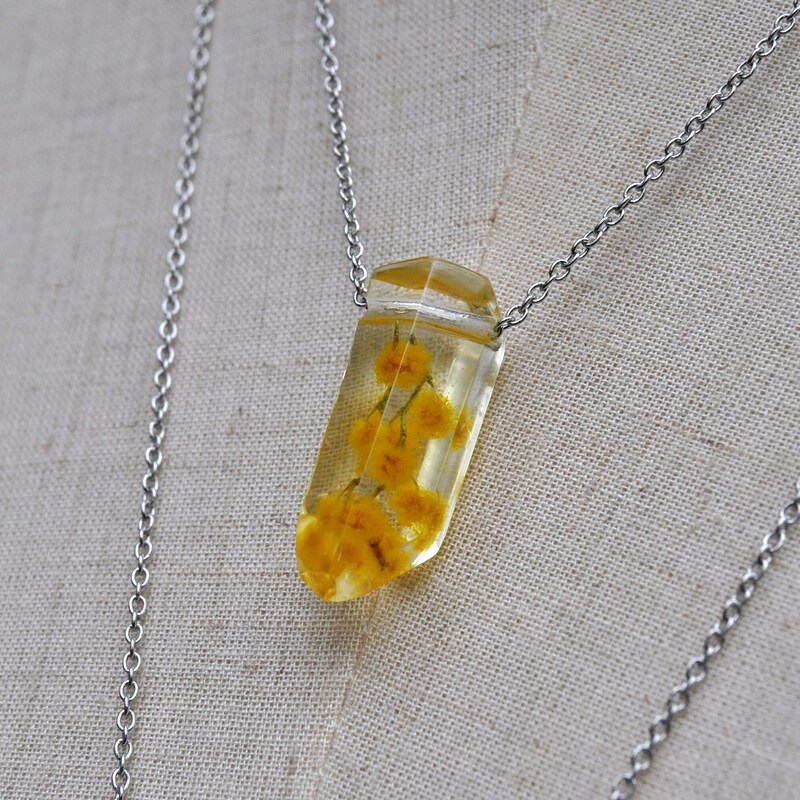 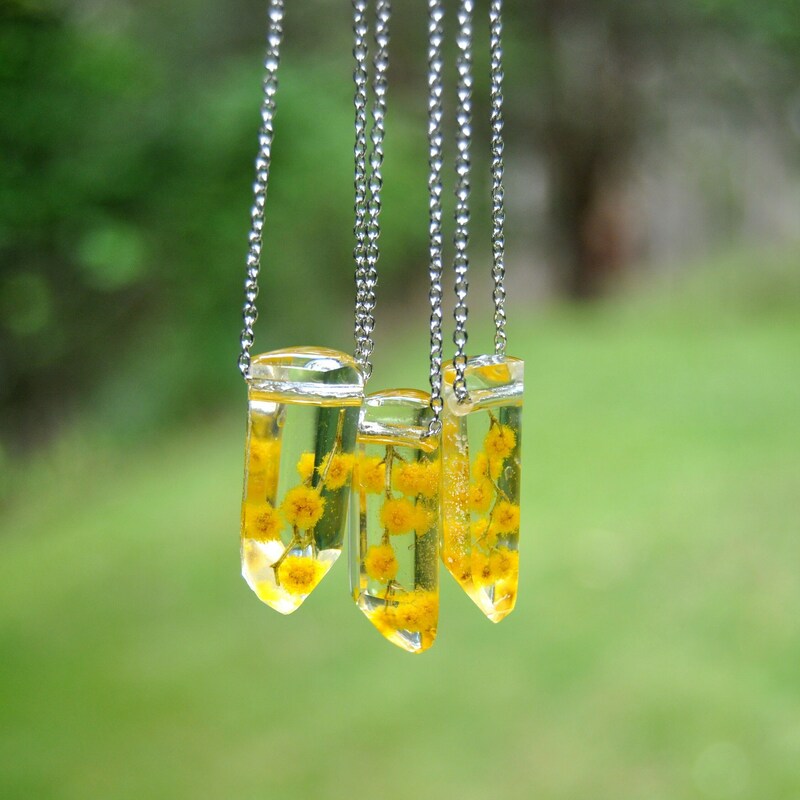 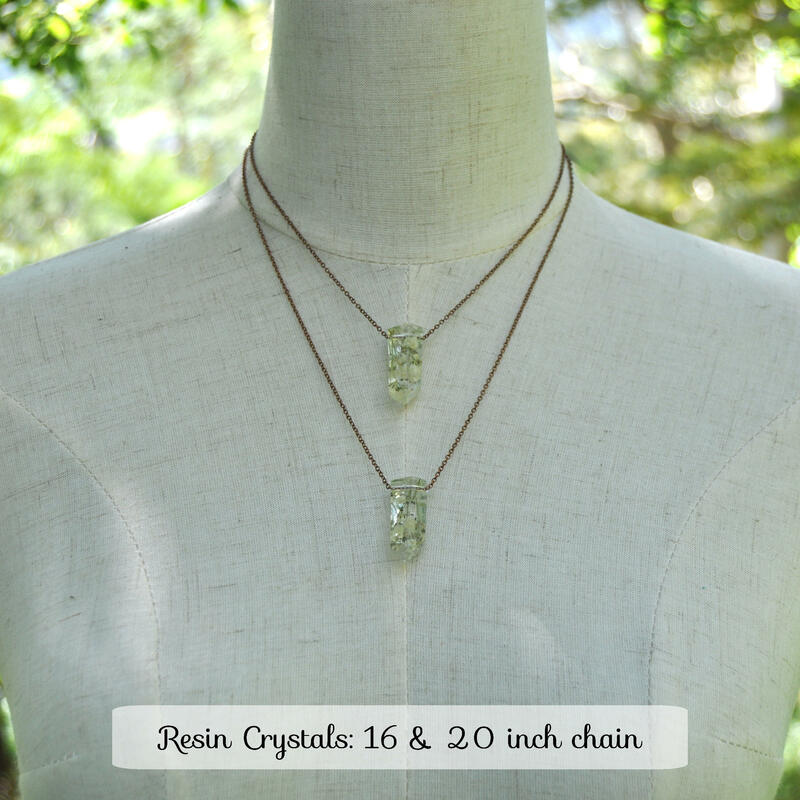 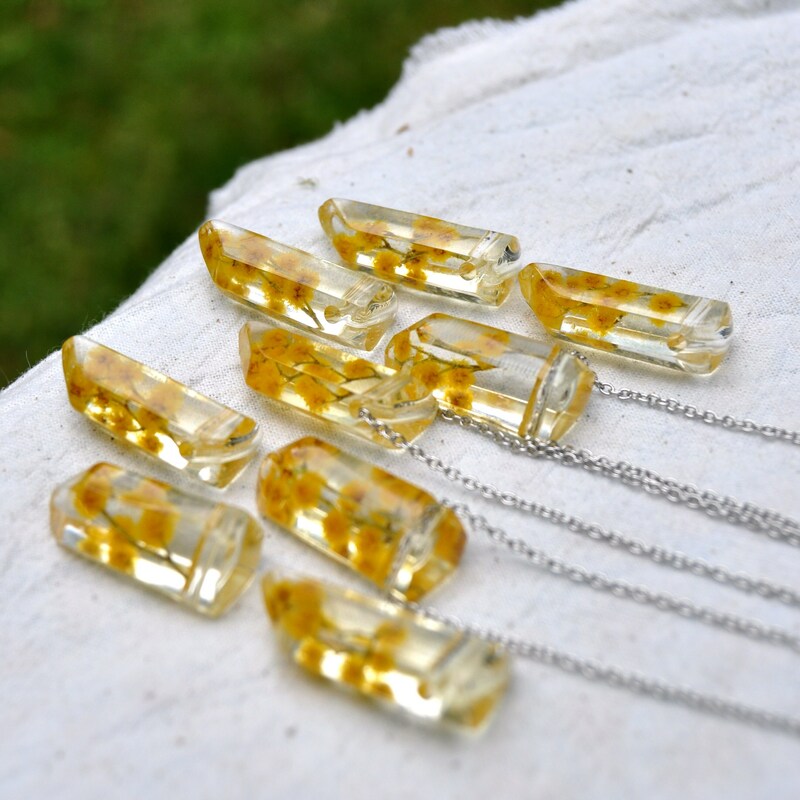 These sweet little resin crystal necklaces contains tiny flowers from the Silver Wattle, a soft yellow wattle what flowers in the spring, and is so called for the silvery colour of its leaves. 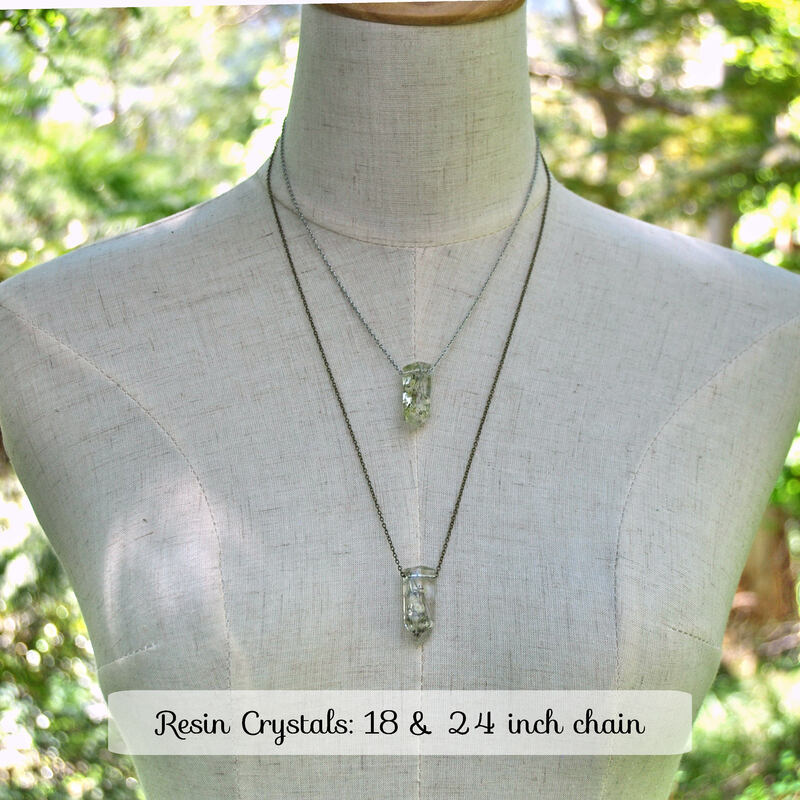 Chain is available in various lengths and materials - surgical stainless steel, antique copper or antique bronze, silver plated or gold plated. 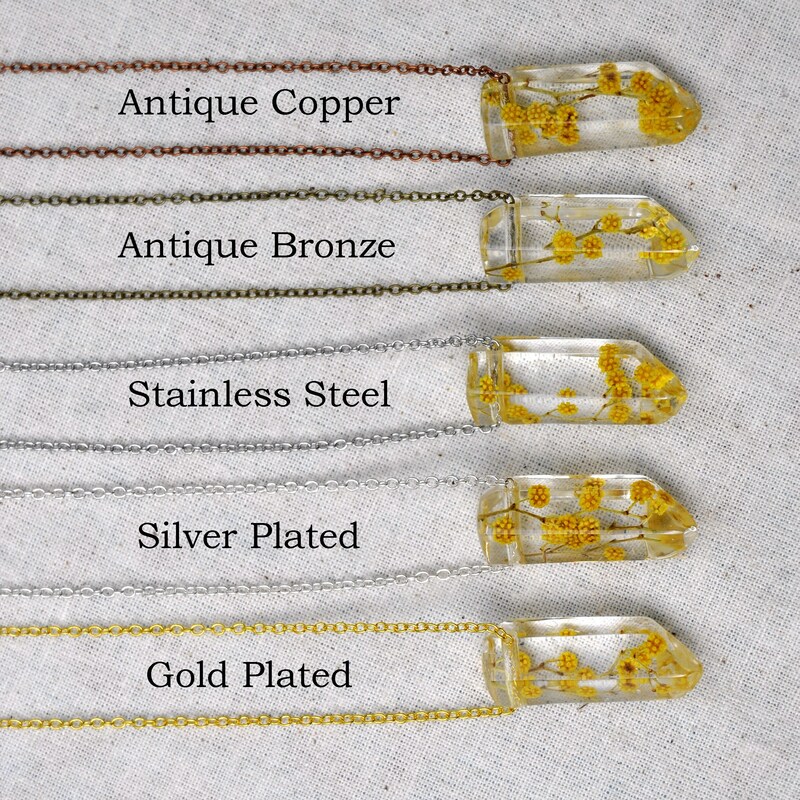 Note that stainless steel will always be the strongest and most tarnish resistant option.